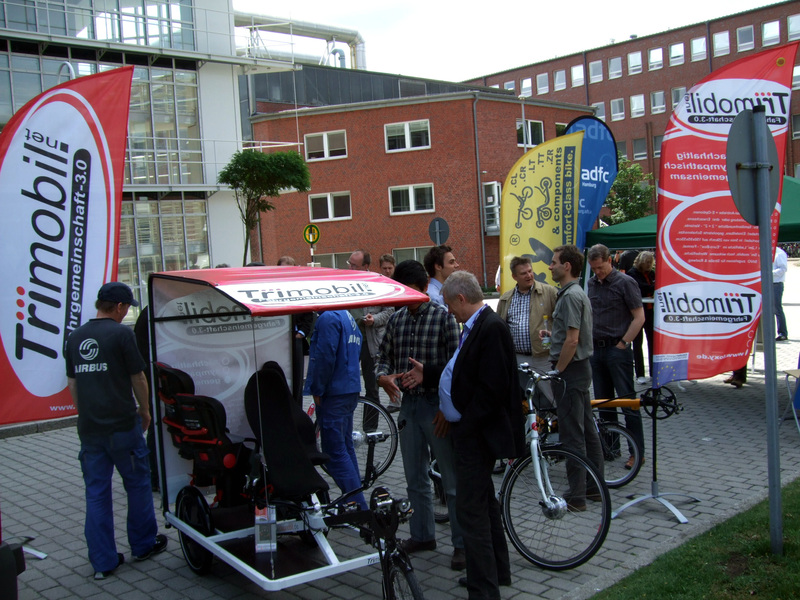 For jour pleasure we have collected some best practice perspectives at the Trimobil to show its wide range of possibilities. 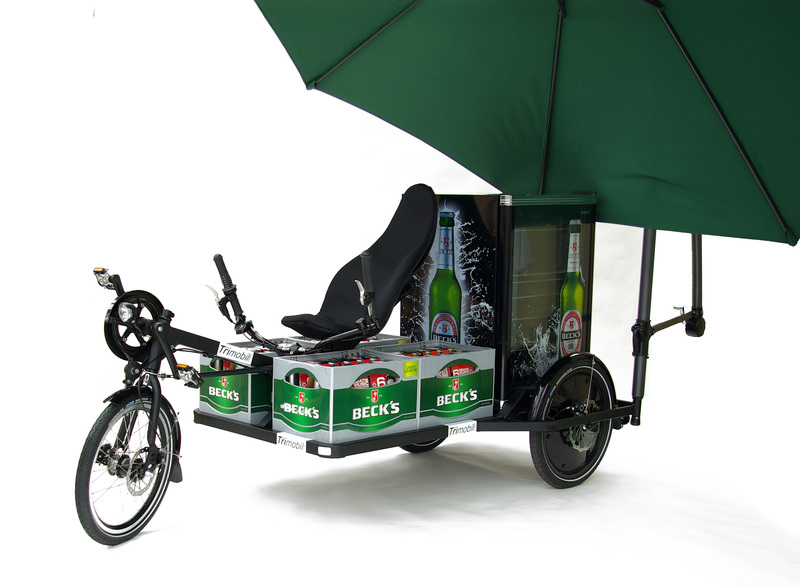 Just get inspired! Some Trimobil details we offer at the studio gallery. For fast download, please just click your favourite image. 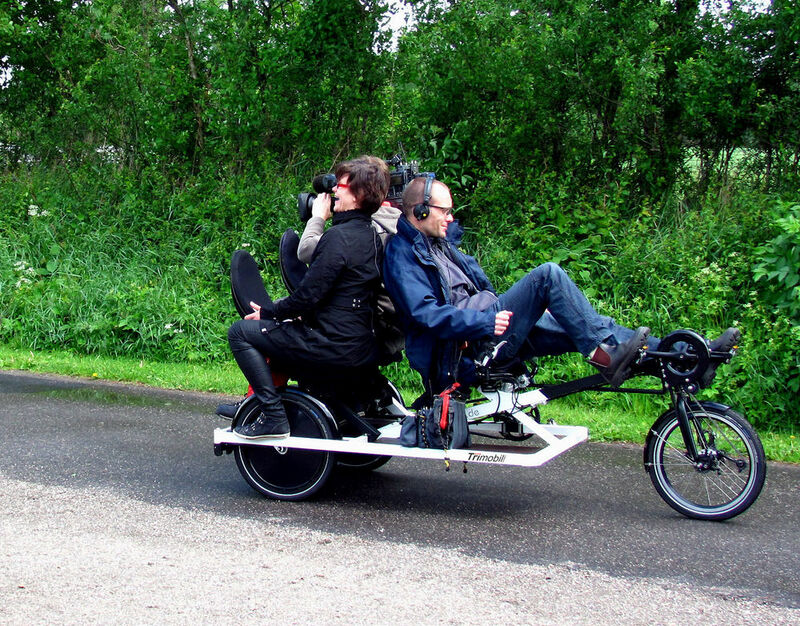 Journalists please download the high-res picture at the original size beneath ("300dpi"). 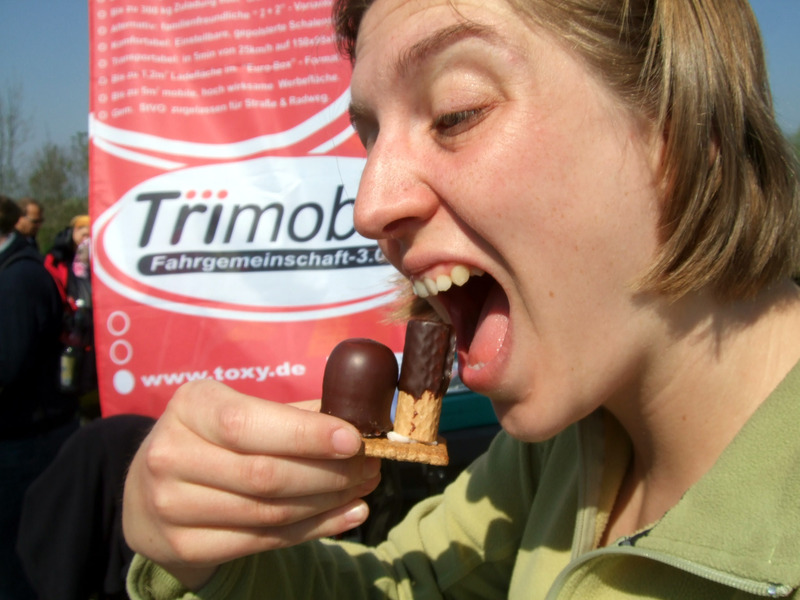 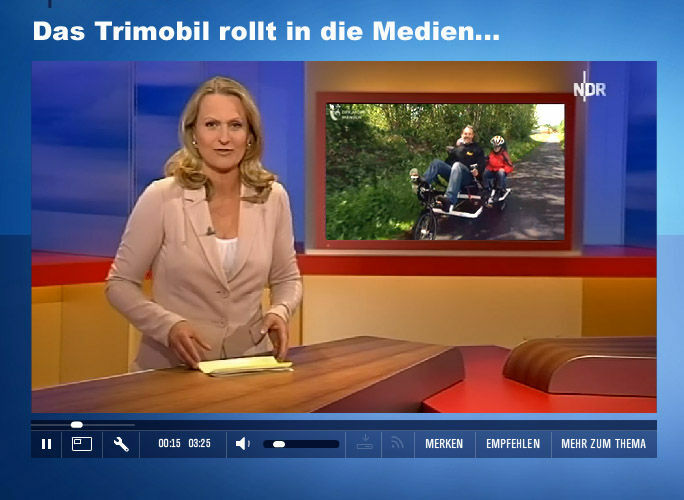 Journalistic media use of our pictures is free of charge when printing the source or linking to our website ("Toxy Liegerad GmbH" or "www.trimobil.net"). 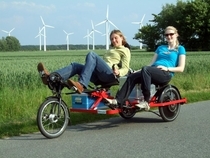 Please send us a print sample or the weblink after publishing. Any other professional use of our pictures or text is strictly prohibited. 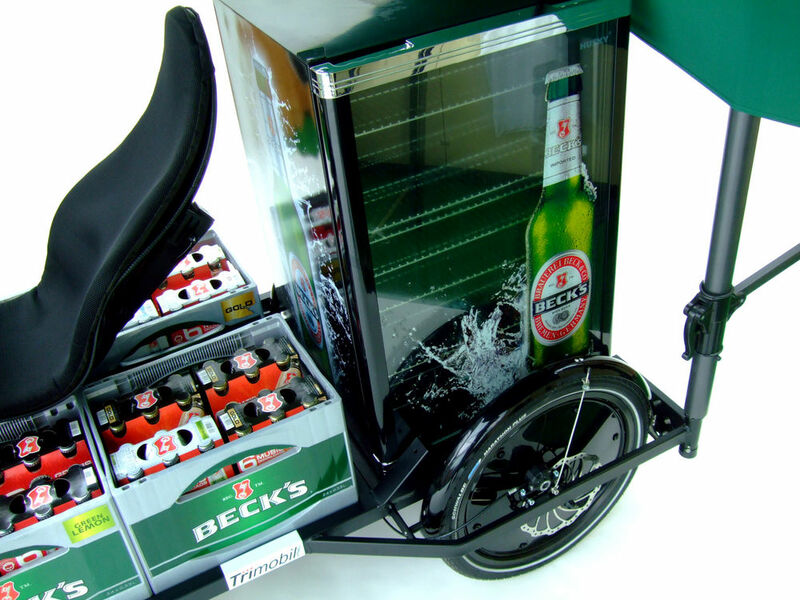 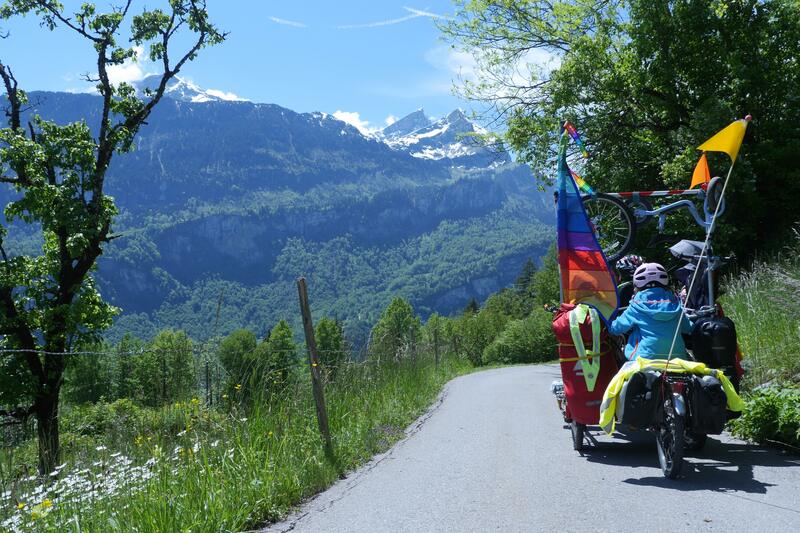 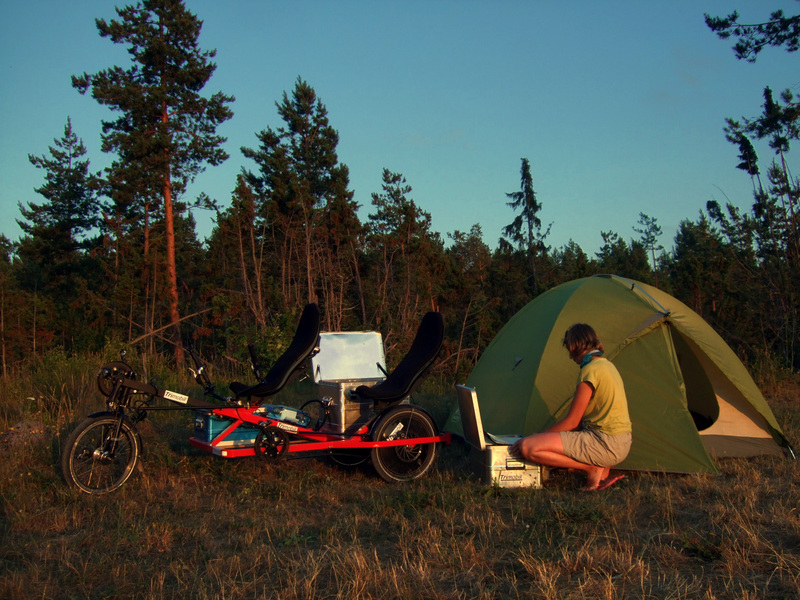 100% Baltic-proof: Trimobil tandem trike in the midnight sun. 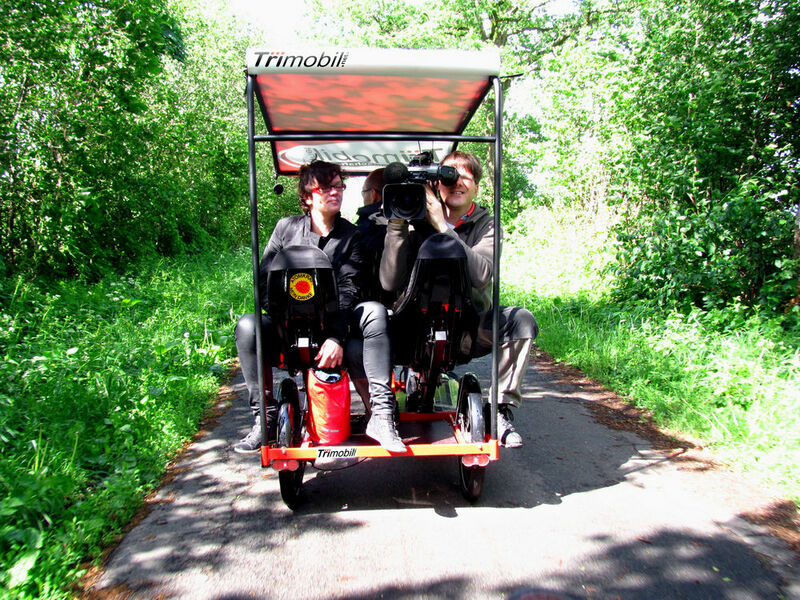 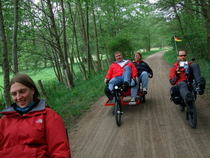 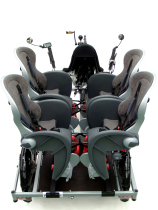 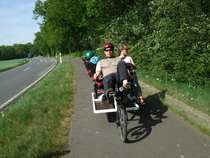 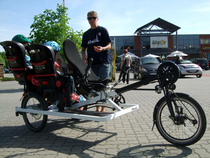 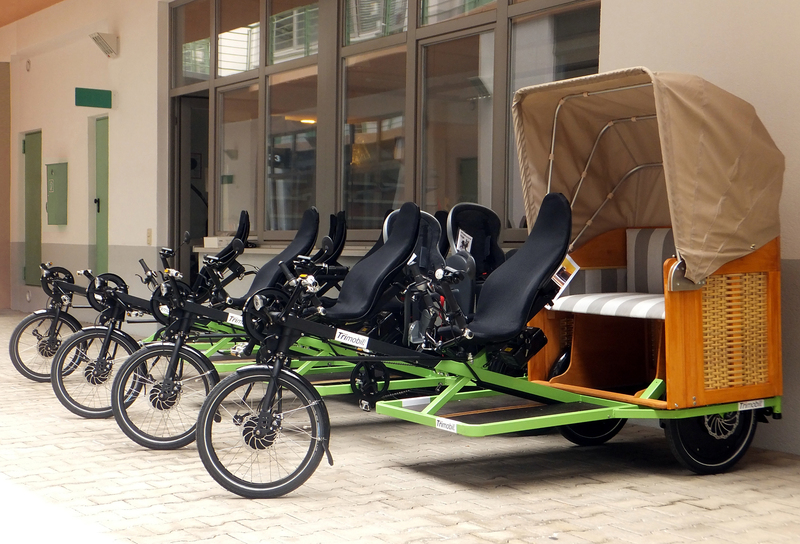 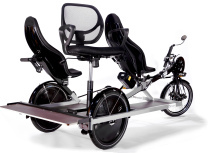 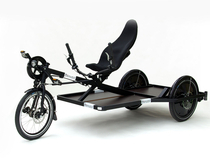 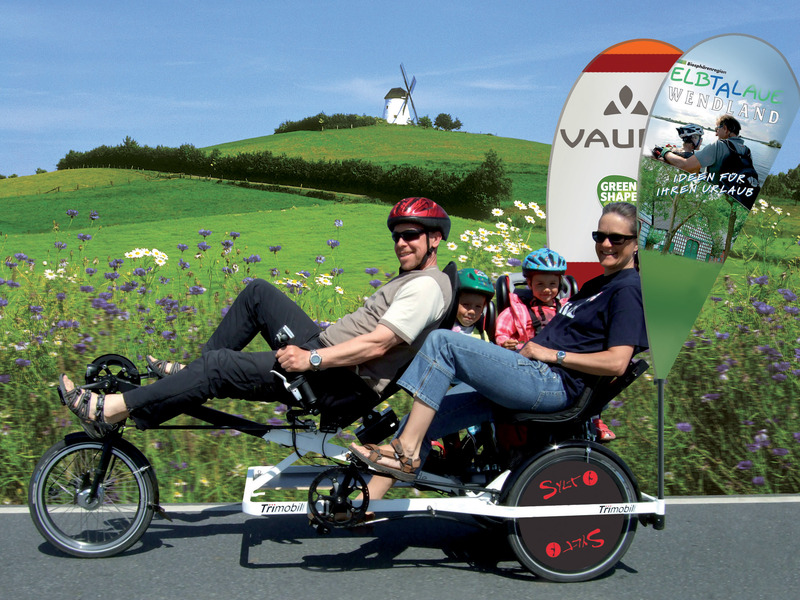 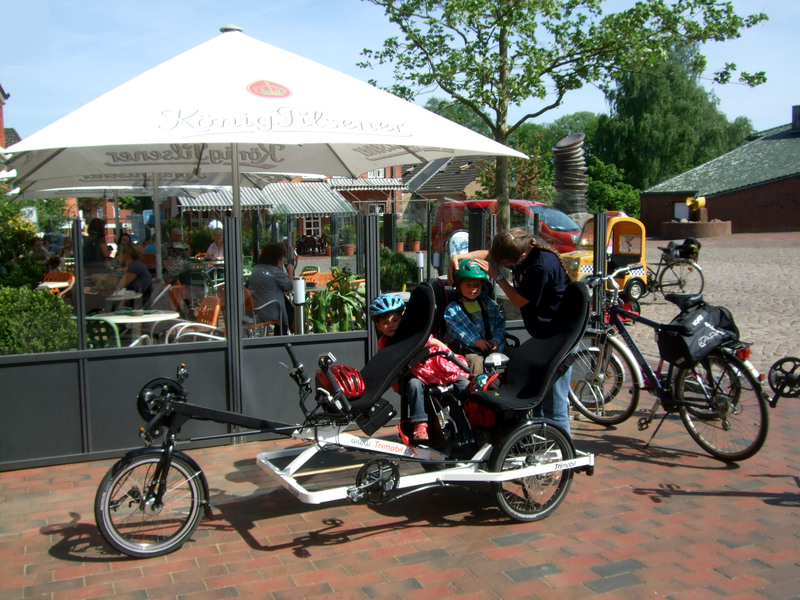 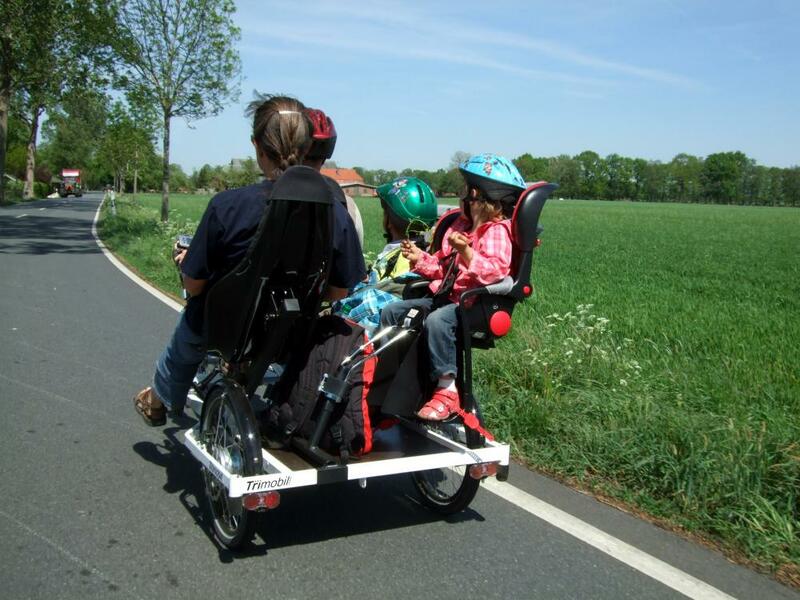 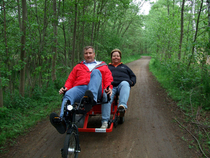 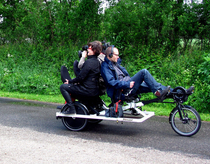 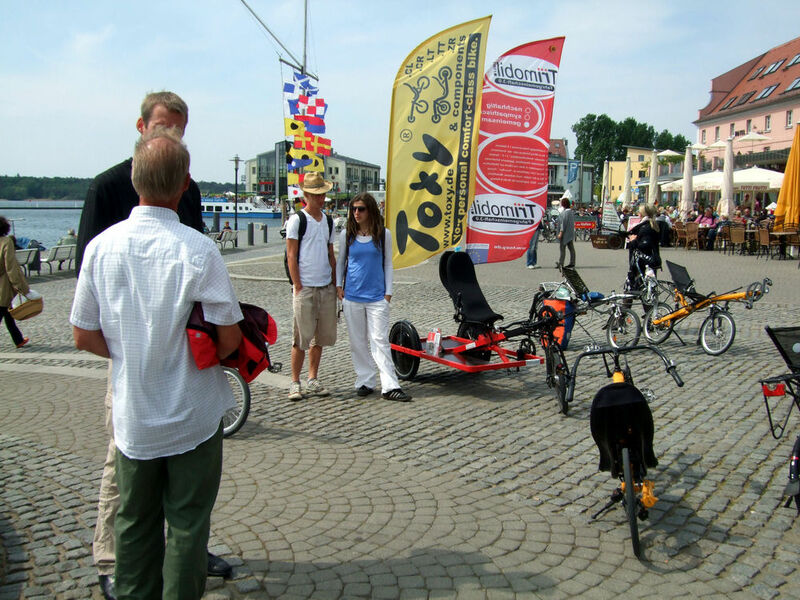 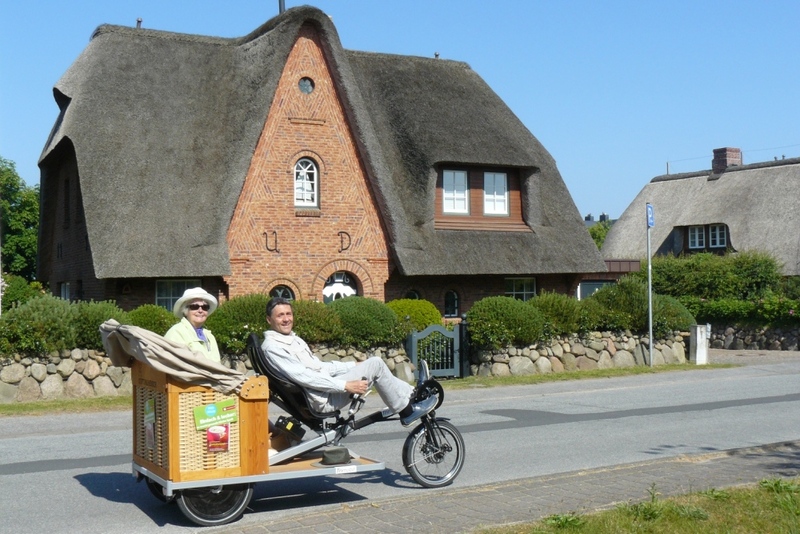 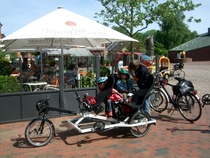 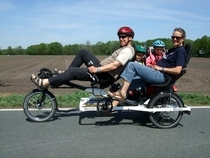 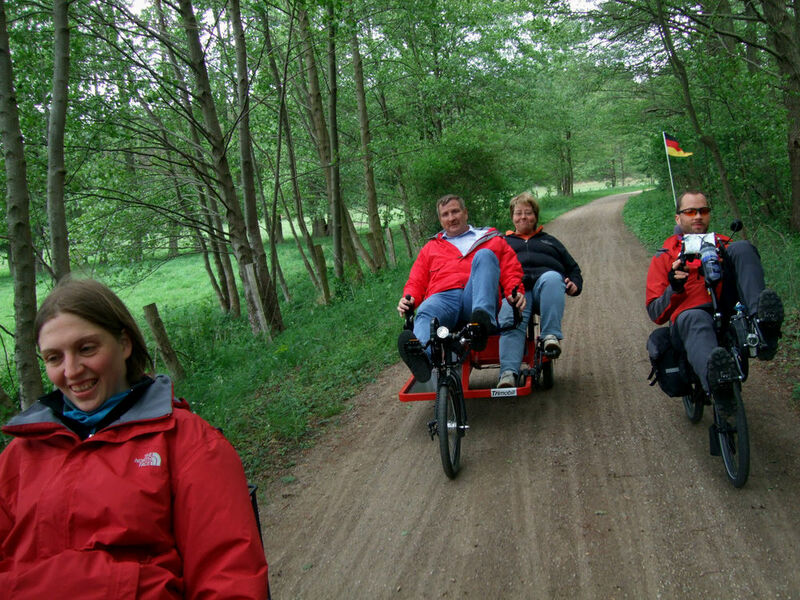 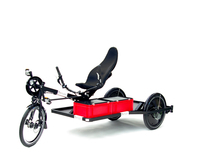 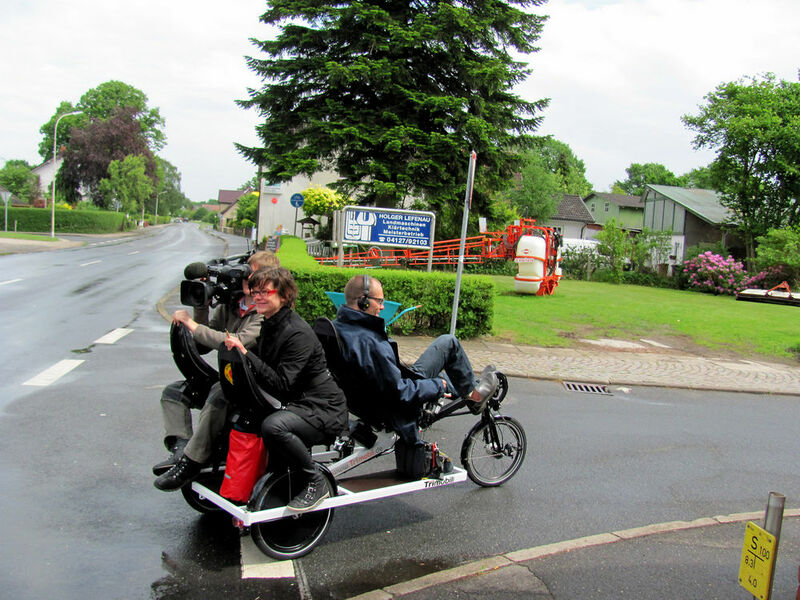 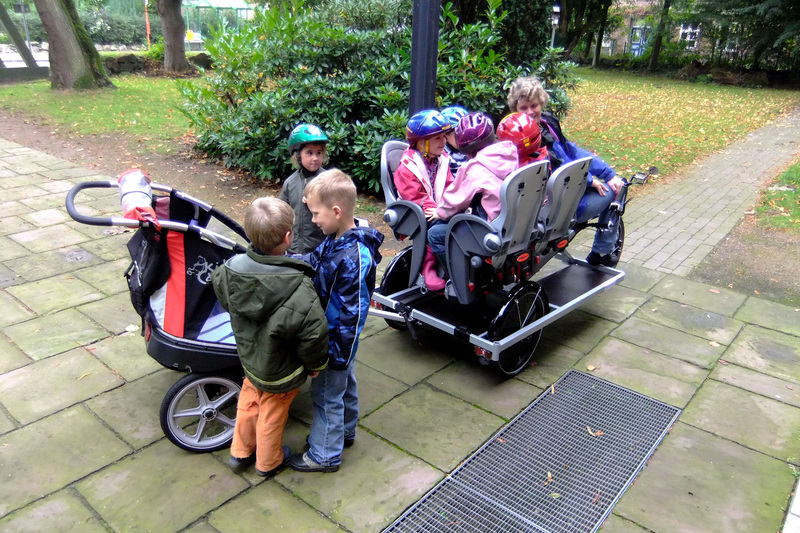 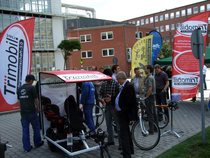 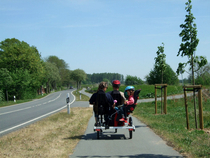 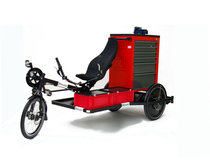 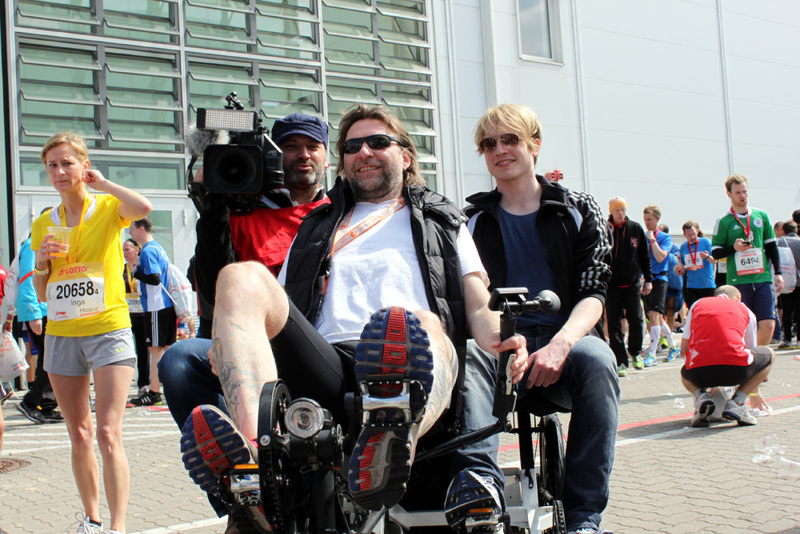 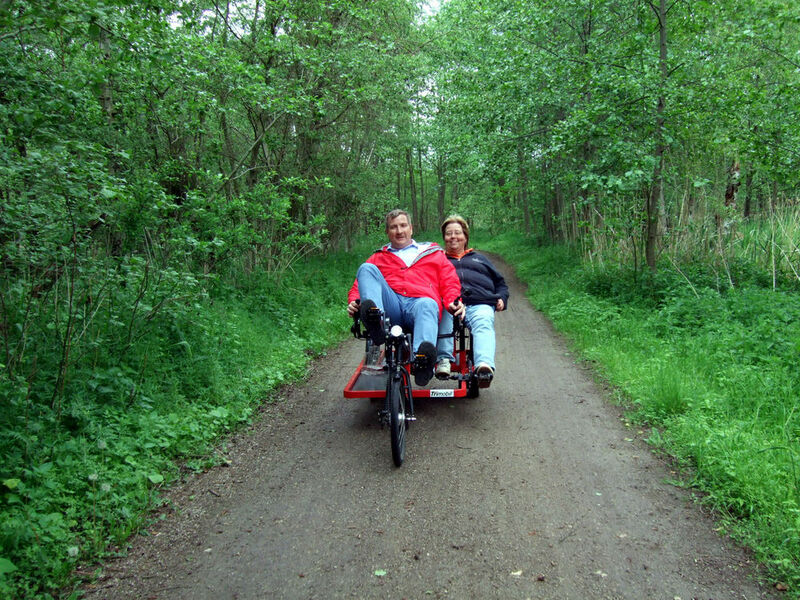 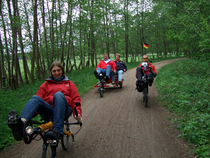 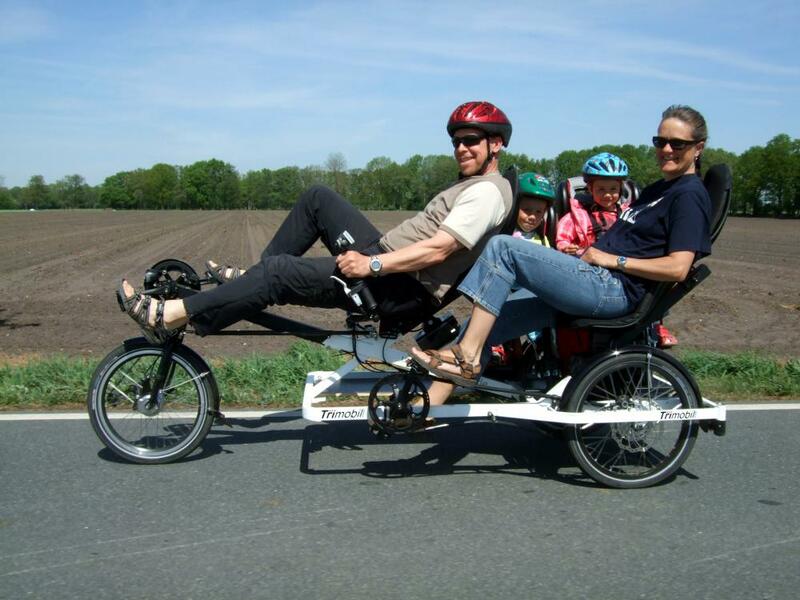 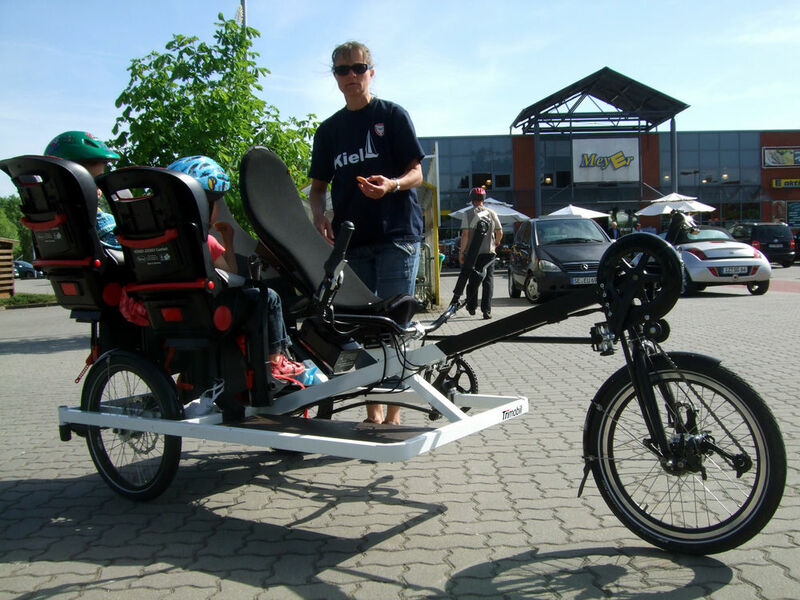 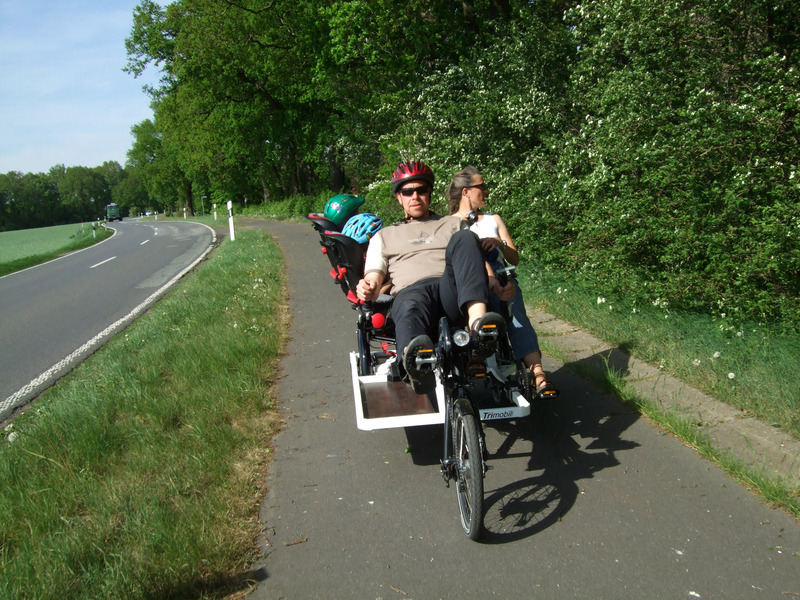 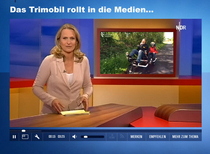 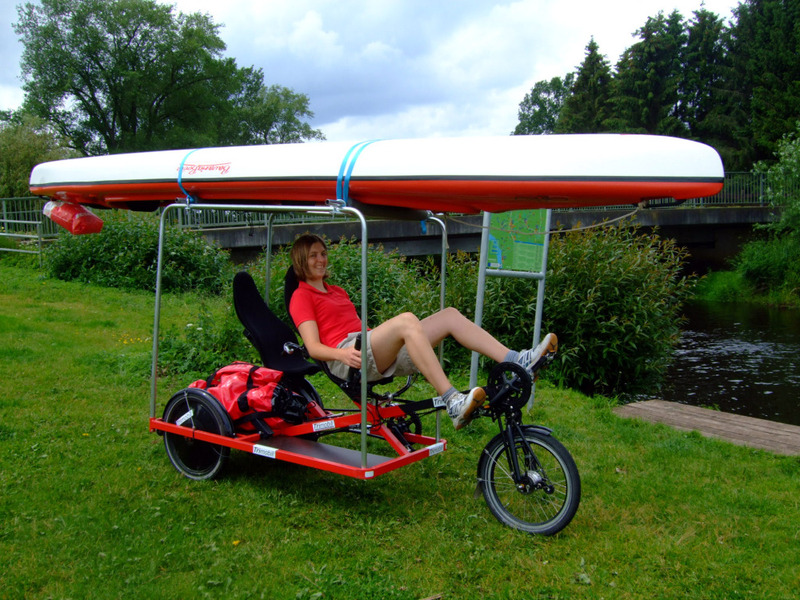 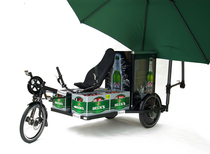 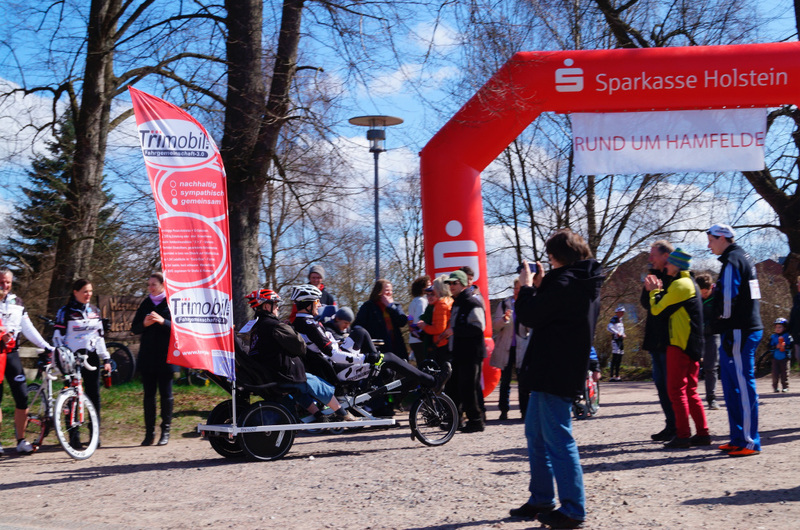 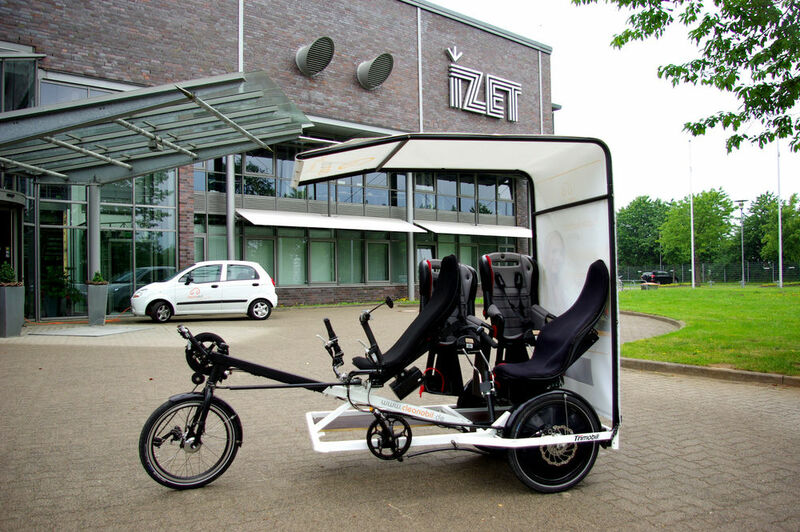 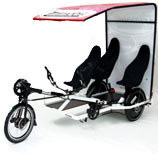 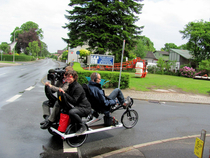 100% Baltic-proof-tour: Trimobil recumbent tandem trike in Estonia. 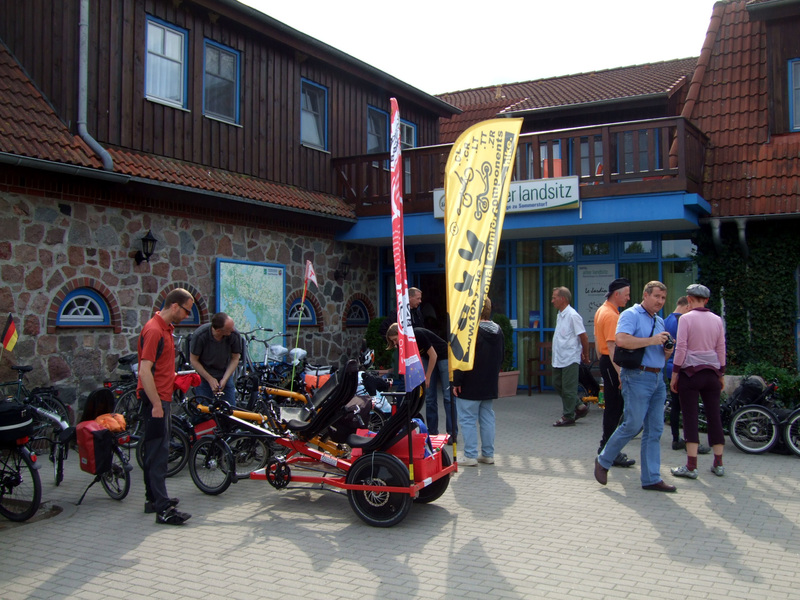 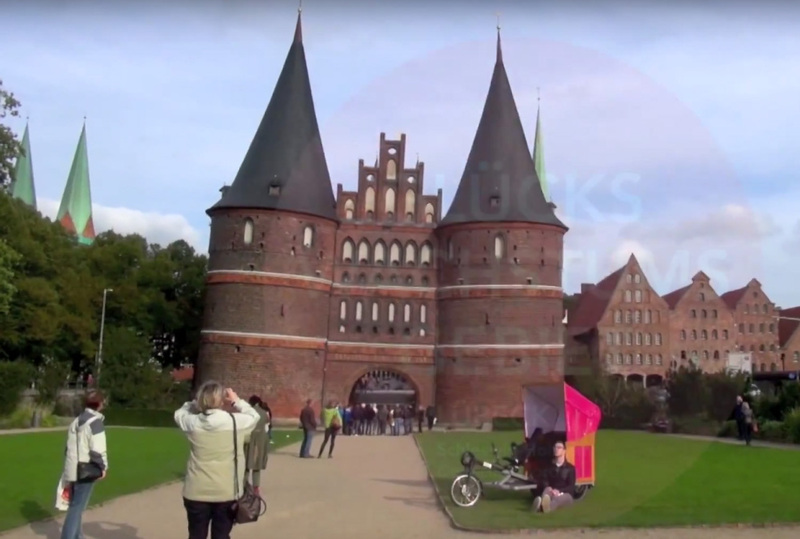 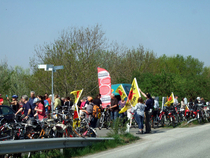 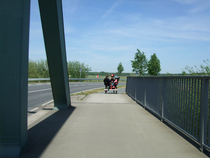 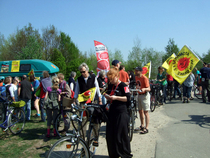 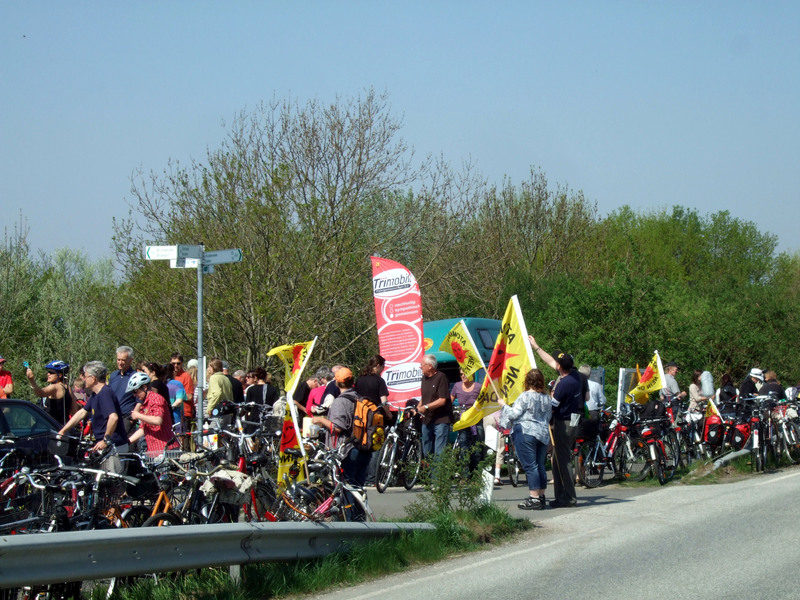 100% Baltic-proof tour: 1200 km Trimobil testride on concrete & gravel roads.